Okay, now that we’ve established that this is the inflation number we should really be paying attention to, what’s it indicating these days? The New York Fed’s Underlying Inflation Gauge (UIG) is the hottest since 2006 at 3.14%. 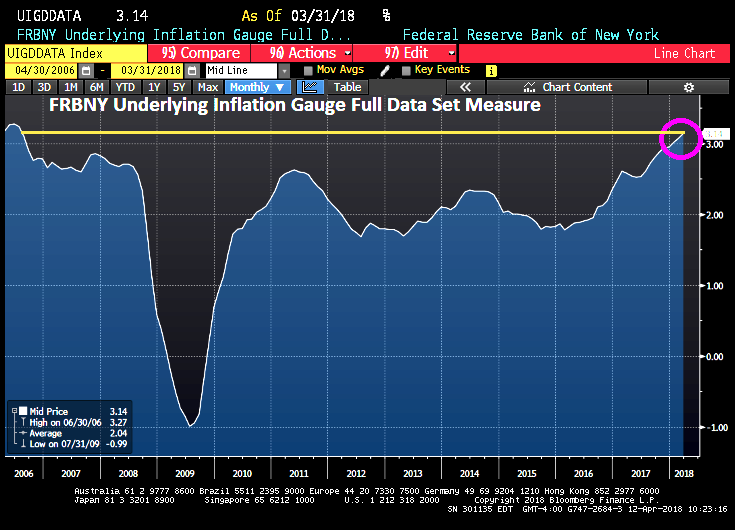 The FRBNY’s Underlying Inflation Gauge captures sustained movements in inflation from information contained in a broad set of price, real activity, and financial data.